Yeti or not, here they come! Discover how one inquisitive Yeti manages to change all of Yetihood—and humankind, too—in this Level 2 Ready-to-Read based on the new big-screen animated adventure Smallfoot, from Warner Bros. Pictures. Smallfoot—which stars the vocal talents of Channing Tatum, James Corden, Zendaya, Common, LeBron James, Gina Rodriguez, Danny DeVito, Yara Shahidi, Ely Henry, and Jimmy Tatro—stomps into theaters on September 28, 2018! Migo’s life is awesome. Living in the Yeti village that floats on a sea of clouds is stable and predictable. Everyone knows that beyond the clouds lies the Sea of Nothing. 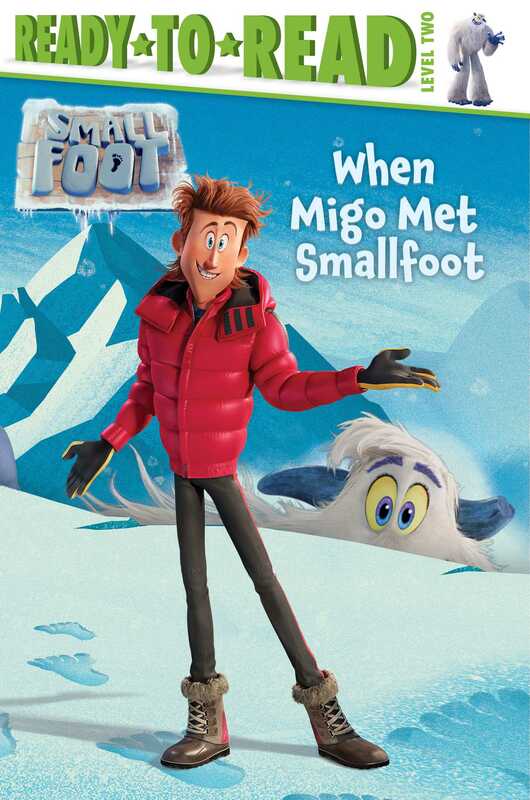 So how can Migo explain what happened when he fell below the clouds and met a mythical Smallfoot?